Sorry for the lack of posts these past few days, I’ve been under the weather 😦 Hopefully I feel better in a couple days. The cold weather isn’t really helping either. It’s pretty chilly here in NYC which makes me miss Los Angeles even more. WEEP! I dug up some photos I never posted from when it was warm. 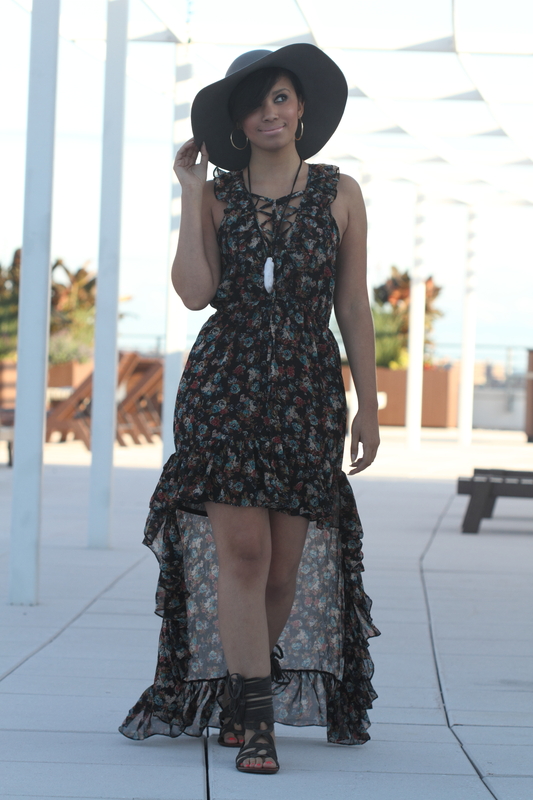 I’m wearing a hi-low hem dress, felt hat and gladiator sandals all from LF! I love this outfit. It’s very bohemian and 60’s-70’s! i JUST posted a look with a similar style dress too! I think this is so fun and perfect if you are not that tall! You look fab! !